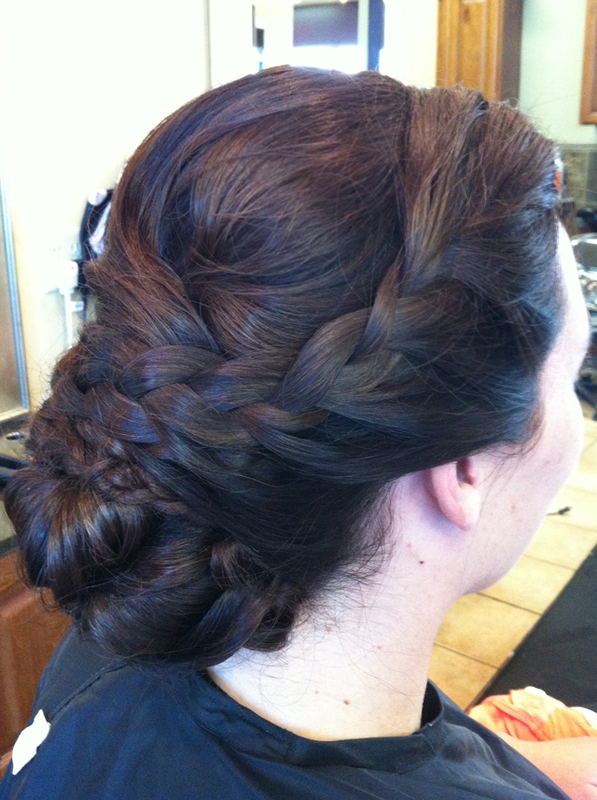 Today I had a bride who wanted her hair in an updo like Kate Middleton's. 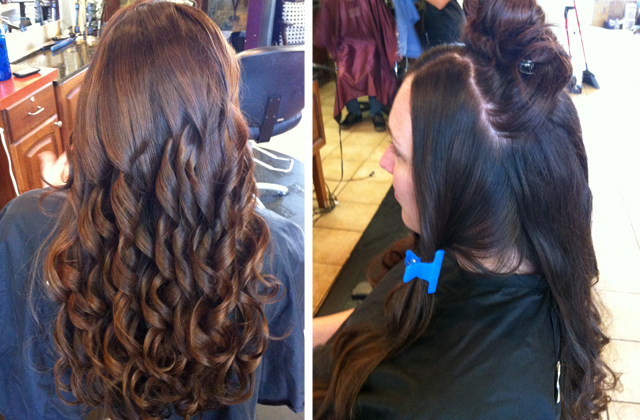 I've never done this before, but I thought I'd create a step-by-step for the updo while I was doing it. Let me know what you think! 1. 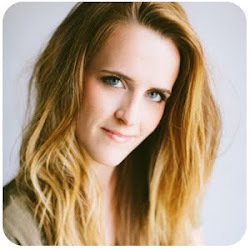 Curl all of the hair loosely with a flat iron or curling iron. 2. Section out the sides to a little past each ear and clip them aside. Then section out the top and clip it aside as well. 3. Put the back section in a low ponytail. 4. 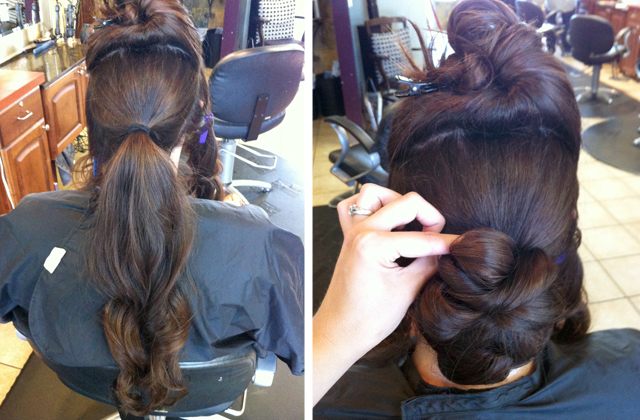 Create a chignon by looping small sections around the ponytail and pinning them in place. 5. 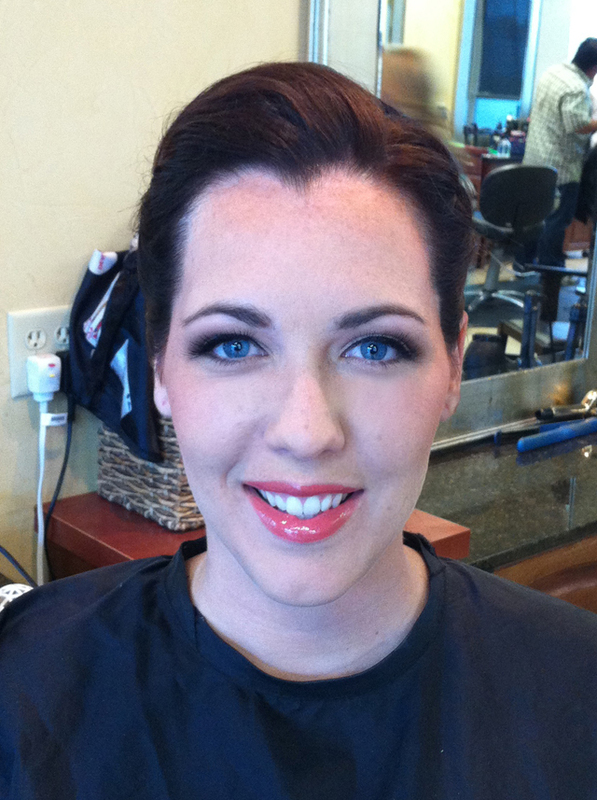 Let down the top section and drape it over the chignon, loosely twisting it and pushing it upwards for more body. Secure with bobby pins. 6. 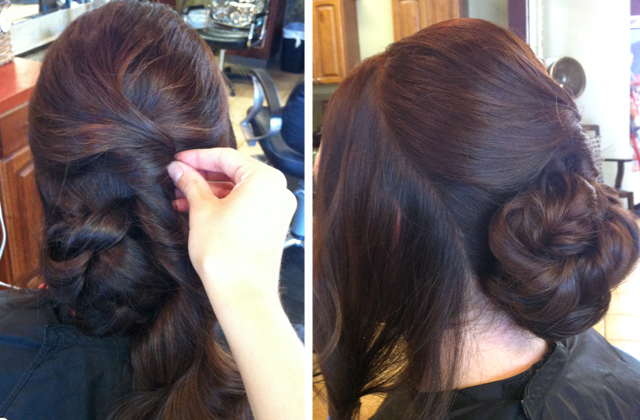 Twist up the end of the hair remaining from the top section and add it to the chignon, securing with bobby pins. Now the only hair left out should be the two side sections. 7. 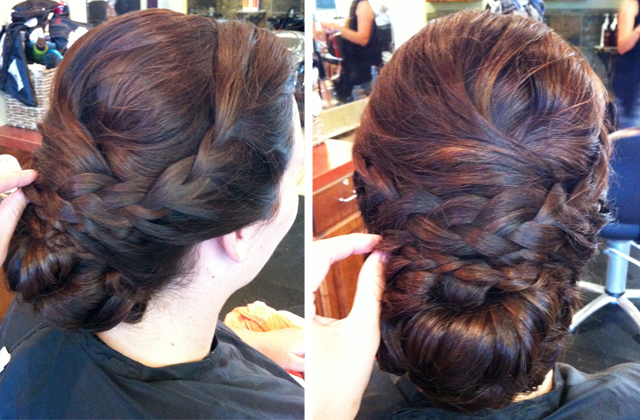 Use the remaning hair on the sides to do two braids going back, laying them on top of the updo. 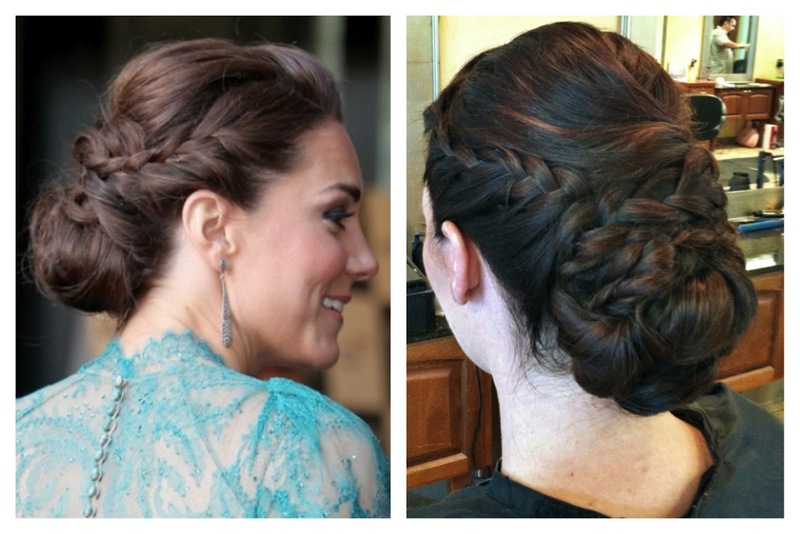 In Kate Middleton's updo, she only has one braid going down one side of her hair (the shallow side), but we decided to do braids down both sides. Either way is beautiful! 8. Secure the braids with bobby pins in the back.